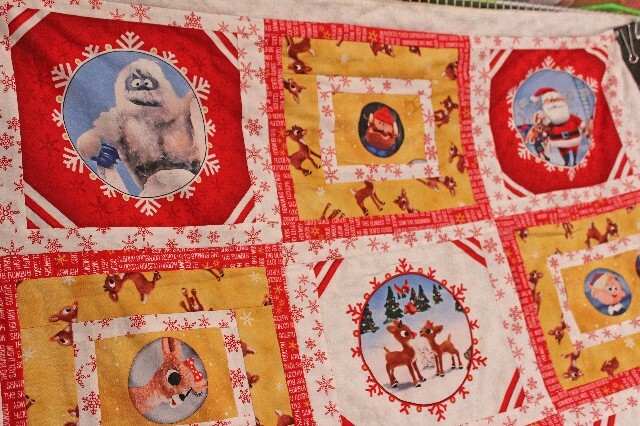 Every once in a while, I come across a quilt I absolutely HAVE to make! I saw this beauty in Beefore It’s a Quilt in Port Lavaca, Texas and I couldn’t get the fabric fast enough. 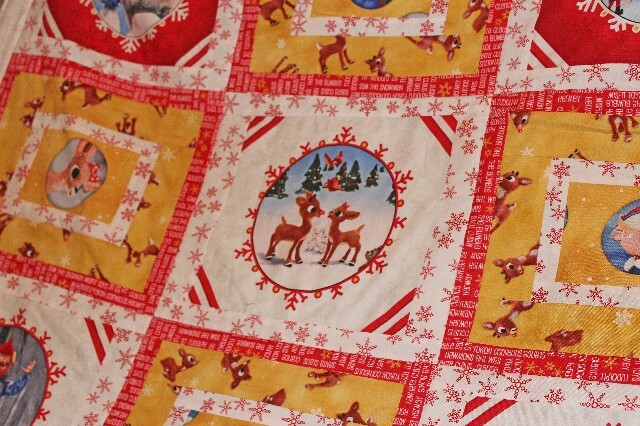 The fabric is called Rudolph, 50 Years and Counting by Quilting Treasures and the main images are from a block panel. 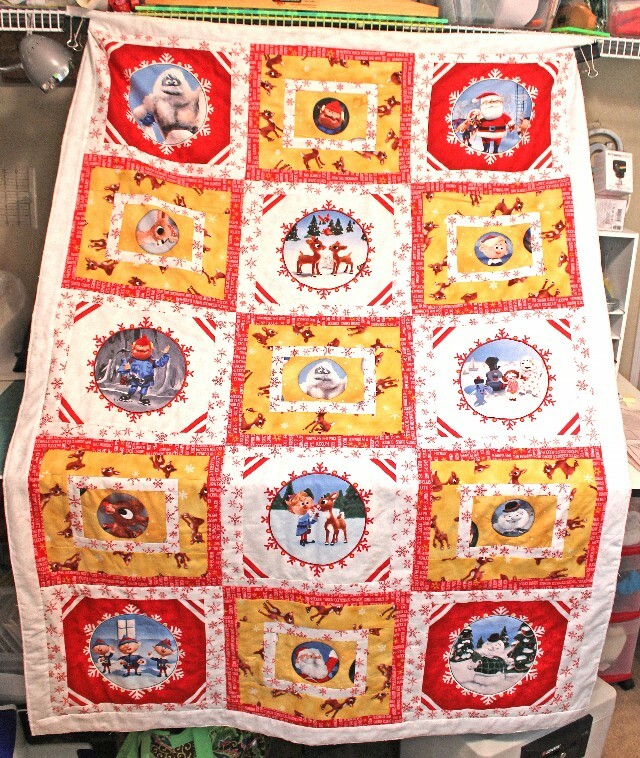 This quilt simply brings me an enormous amount of pleasure and reminds me completely of my childhood. It takes me back to being 7 years old in Randolph base housing, looking forward to the night when it would finally be on TV, sitting cross legged in front of what my dad called the boobtube, and being completely terrified by the Abominable Snowman. The lesson of the story that even though you might be different, not popular, picked last, or even bullied, you should still hold your head high because you’re still special and your purpose in life just hasn’t been realized yet. That lesson carried me through the nightmare I recall as junior high. The batting is Foosiboo – a bamboo/cotton combo that adheres when ironed. 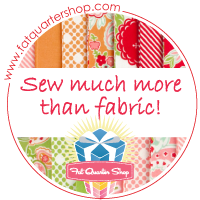 The backing is from Andover and I got it half price at Scrappy Quilter in Schertz last week. I adore the whimsy paisley print! Does it match? No. Do I care? No. I think it looks as good from the back as it does from the front. To quilt it, I’m outlining the circle pictures in black and then will stipple the rest – probably in a gold variegated thread. 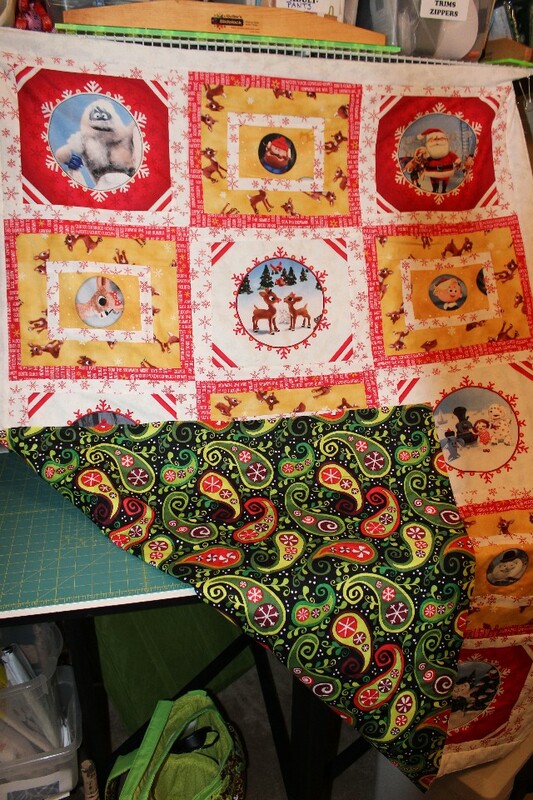 The kit included a too-cute diagonal stripe in white, gold, & red for the binding. I wish everyone a very Merry Christmas and may God bless you and yours!